Deforestation is gradually diminishing Haiti’s forested land, meanwhile Haitian farmers have relatively low incomes for the work they do, which encourages more damaging practices. Environmentally and socially, it’s not working. Kreyol Essence is an eco-luxury beauty brand, creating products made from Haitian black castor oil. It works together with farmers – mainly female – who grow castor plants and produce castor oil from seeds. 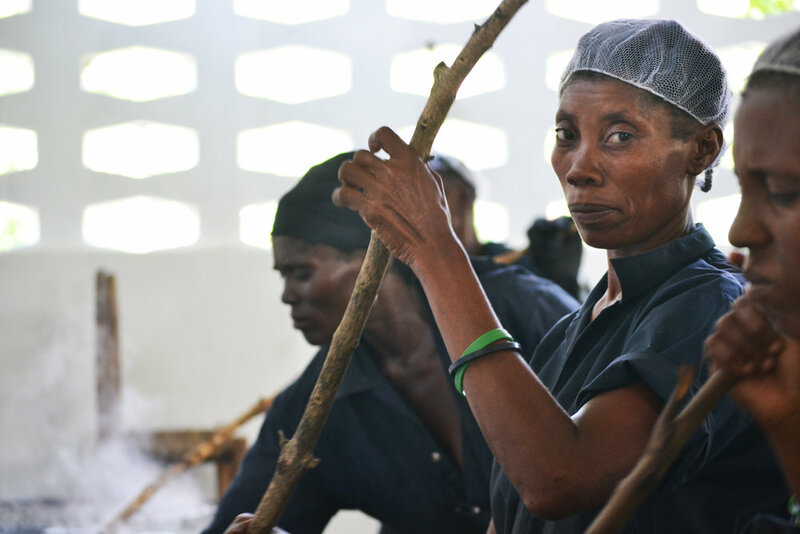 Kreyol Essence’s mission is to tackle deforestation while ensuring higher incomes for these local smallholder farmers. The social business developed a value-chain: planting castor trees in cooperation with female smallholder farmers, and subsequently buying the castor plants at above market price to ensure both sustainable incomes and the protection the local environment.